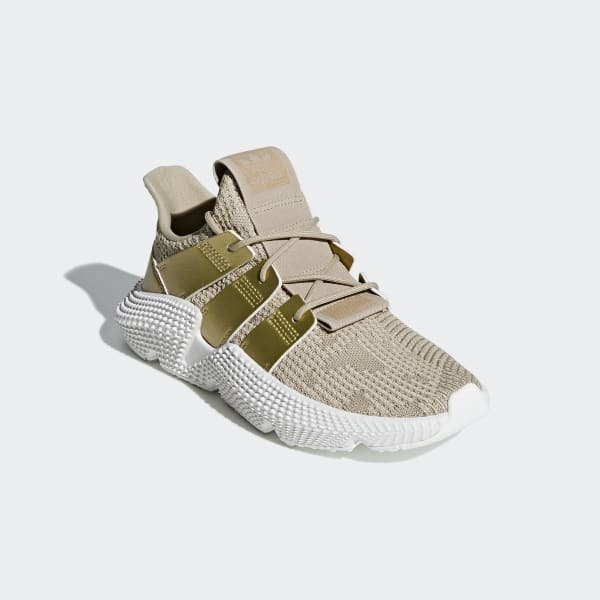 Bold and unapologetic, the Prophere is built for streetwise swagger. These shoes show off a dramatic profile with high sculpted sidewalls. They're crafted with a unique knit that mixes soft and rough textures to give a distressed look. The knit upper combines with the midsole to give a supportive, flexible feel. 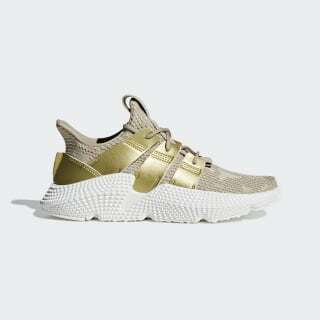 Metallic 3-Stripes add some light-catching flash.